When you take out a mortgage, you perhaps imagine that you will always be in a position to meet the repayments that you agree to at the time of purchasing your property. Mortgages are a big investment and one that, done correctly, will provide you with the security of your own home. Nobody likes to plan for what might happen should the situation change and perhaps you may avoid taking out mortgage protection in the belief that it is saving you money. However failure to insure yourself for unexpected events could have a great impact on your family home. There are many types of mortgage protection insurances so if you are unsure which type of mortgage protection best suits your requirements, please request a free consultation. It usually takes less than 10 minutes to run through your details over the telephone and provide you with a list of the best mortgage protection options for you. Mortgage Protection – Finding the right policy for YOU. Mortgage protection is designed to ensure that if your situation changes whilst you are paying off your mortgage you can still meet the repayments on your financial obligations. This means that, whatever else might be worrying you, you can rest assured that your home is safe. In this increasingly tough economic climate it is wise to have some sort of protection to cover you for the unexpected. A mortgage is a big commitment, like we have car and home insurance, mortgage protection is equally as essential. Within the mortgage protection market there are plenty of different types of policies for you to choose from, enabling you to choose the best for your personal situation. Ascot Mortgages can help you to decide which mortgage protection product is right for you and find you the best policy to cover your requirements, at the best price. 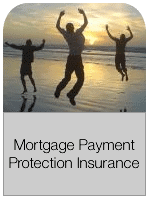 Mortgage Payment Protection and Mortgage Life Insurance. The first covers you in the event that you may have an accident, become sick or unemployed and are unable to work and makes sure that your monthly mortgage repayments are met. Unlike Government schemes, which have various eligibility clauses and which cover only the interest on your mortgage, Mortgage payment protection insurance covers the repayments. This type of insurance is designed to keep paying your mortgage until you are in a position to resume making the repayments yourself and in this sense is a temporary solution. Other options that are worth considering if you have a mortgage include ‘critical illness cover’ which is a tax-free lump sum, payable upon the diagnosis of a serious condition, details of which are included in your policy details. The benefit of this type of mortgage protection is that, if you find yourself seriously ill, you can concentrate on recovering without worrying about your finances. Also available is ‘income protection cover’ which pays you a monthly income should you find yourself temporarily incapacitated through sickness, injury or unemployment. Should you find yourself unemployed as a result of redundancy then ‘Mortgage Protection Redundancy’ will pay you a monthly payment. Finally you could also protect against the unexpected through ‘Accident, Sickness and Unemployment Cover,’ which covers only your mortgage by paying out monthly. Whatever the type of policy that you choose ‘Mortgage Protection’ is the sensible choice to protect your home in any eventuality. Please call Ascot Mortgages for free expert advice. Mortgage Protection – Which type is right for you? In the event of losing your regular income, the most pressing concern for many households is ensuring that the monthly mortgage repayments are covered. Mortgage Protection is a type of insurance which is designed to pay the mortgage payments whilst you are unable to. With hundreds of different insurance products to choose from, finding the right one can be confusing. Ascot Mortgages can find the best mortgage protection insurance for you, no matter what your circumstances. Although some companies will offer mortgage protection along with their mortgage agreement, it is usually better value to shop around for individual mortgage payment protection policies and take out separate cover. Find the best mortgage payment protection insurance with Ascot Mortgages. With many standard repayment mortgages you will not receive automatic insurance cover or payment protection plans. Although some companies will offer it along with their agreement, it is usually better value to shop around for individual life assurance and critical illness policies and take out separate cover. Mortgage life insurance is an insurance policy which pays out a lump sum should you die before the end of the policy’s term. This means that your dependents can pay off the outstanding mortgage balance in the event of your death. The cover can be level throughout the life of the policy, or it can decrease over time in line with the reducing balance of the mortgage loan. You can also take out life cover which would pay out a regular income from the time of the claim until the end of the term, which can be useful for families. 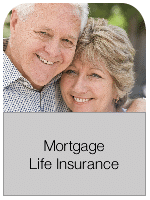 Most lenders recommend life insurance, and Ascot Mortgages can help you find the best deal. It is less of a priority for people with no dependents, but it should be a consideration for most people looking to take out a mortgage. It is usually best to find a policy with fixed premiums, meaning that your monthly payments won’t change. We can also help you arrange a joint policy for couples or friends that co-own a house. Your policy will also be based on age, financial circumstances and overall health. Critical illness refers to a serious illness, such as a form of cancer or a heart attack. These types of illnesses affect one in four women and one in five men before retirement age. Critical illness insurance is designed to ease the financial pressures by paying a tax-free lump sum if you become seriously ill or disabled. You must normally survive at least one month after becoming critically ill before the policy will pay out. 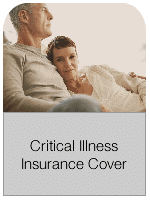 Critical illness insurance pays benefits on the diagnosis of certain specified critical illnesses. The range of diseases covered has increased to more than 30, though the definitions of illnesses covered may differ from one company to another. All policies should cover seven core conditions which are cancer, coronary artery bypass, heart attack, kidney failure, major organ transplant, multiple sclerosis and stroke. They will also pay out if a policyholder becomes permanently disabled as a result of injury or illness. Simply put, income protection offers borrowers the security of knowing that their essential repayments will be made if their life takes an unpredicted turn. For example, if you’re in an accident and are temporarily made immobile, a lack of comprehensive income protection cover could mean that you’re forced to rely on state disability benefits, around £70 per week, which won’t be enough to keep up your mortgage repayments. Income protection plans, however, will provide you with a tax free monthly payment until you’re able to work once again. Other income protection plans even allow for cover up to retirement age. Nobody can predict what will happen in the future. That is why taking out suitable mortgage payment protection plan or mortgage life cover insurance can give you the security of knowing that if the unexpected happens, you are prepared for it. Many standard mortgages do not have any protection insurance included, so it is important to decide what kind of separate cover you will need. Accident, sickness and unemployment cover insures you against changes in your circumstances due to redundancy, disability, or illness. Usually these payments are made after 30 consecutive days of non-working, up to a maximum of 12 months. 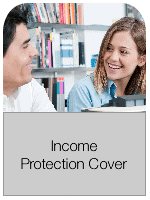 You may want to look at our income protection section for more information on longer term cover. Protect your house from damage, accident and theft with buildings and contents insurance. Ascot Mortgages can help you find the best deal from hundreds of policies available in the UK. Our comprehensive choice means that we can find you the lowest price. Unfortunately, we all live in a world where accidents and thefts do happen. From floods and fires, to burglary and vandalism, there are risks to your possessions and your home that can cost thousands unless you are covered with a suitable building and contents insurance policy. Buildings and contents insurance can be taken out either as a combined cover, or separately. Different lenders offer different benefits but most will cover you for such things as fire, theft, flood and damage.